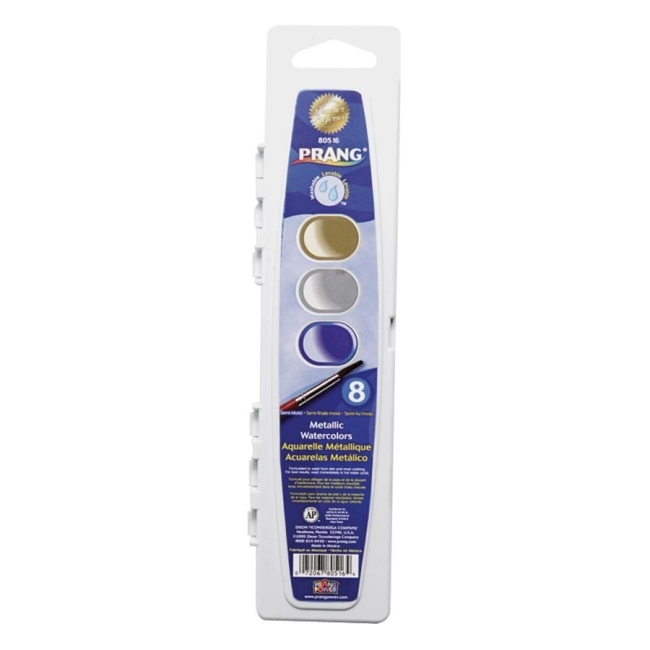 Eight metallic colors add a festive, shimmering element to watercolors kids love. Washable formula for easy cleanup from most skin and clothing. Eight-color set comes with No. 9 wood handled paintbrush. Colors are gold, silver, copper, blue, green, yellow, red-orange and red.